Looking For Somewhere Quiet in DIFC To Read or Study? 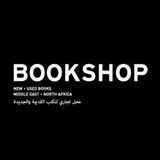 Welcome to Bookshop in DIFC! We are a new cultural space within the DIFC area, specialising in bringing in carefully curated books about the Middle East and North Africa region. Offering an alternative to popular literature stores, we source a mixture of rare, used and well-known titles spanning from fiction, design, architecture, history, astronomy and more. All of the books are for sale, and we are always on the look out for interesting reading material, so you are more than welcome to suggest something great to us! We have a large and spacious table where you can read quietly, bring a friend along to study with, have a business meeting, or hold a talk, event or a workshop. The space is designed to be a place to get things done in a relaxed and spacious open area. We also provide free Wi-Fi connection! Like our other great sister spaces, The Archive, The Magazine Shop, The Space and Creekside, we have a great selection of light food and coffee. Come try out our cronuts, salmon bagel, egg croissant and cookies and more. We’ll also soon have new selection of salads available, so stay tuned! We also have an In-Store Pop-Up shop area. Each month we invite local designers and makers to come in and curate the space. Looking for Somewhere a Bit Different to Meet-Up for a Coffee in Dubai?